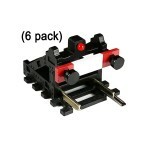 Pack of 6 pcs of BF-HO-01 HO/OO Wireless Bufffer Stop w/Light. 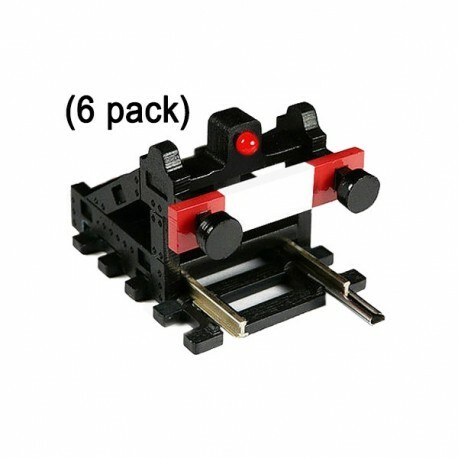 Fits to HO/OO scale tracks without ballast such as Atlas, Hornby, Peco, Lima, etc. Nickel silver track with a fishplate underneath the buffer stop is directly wired to LED light. No messy wires, no additional power needed. 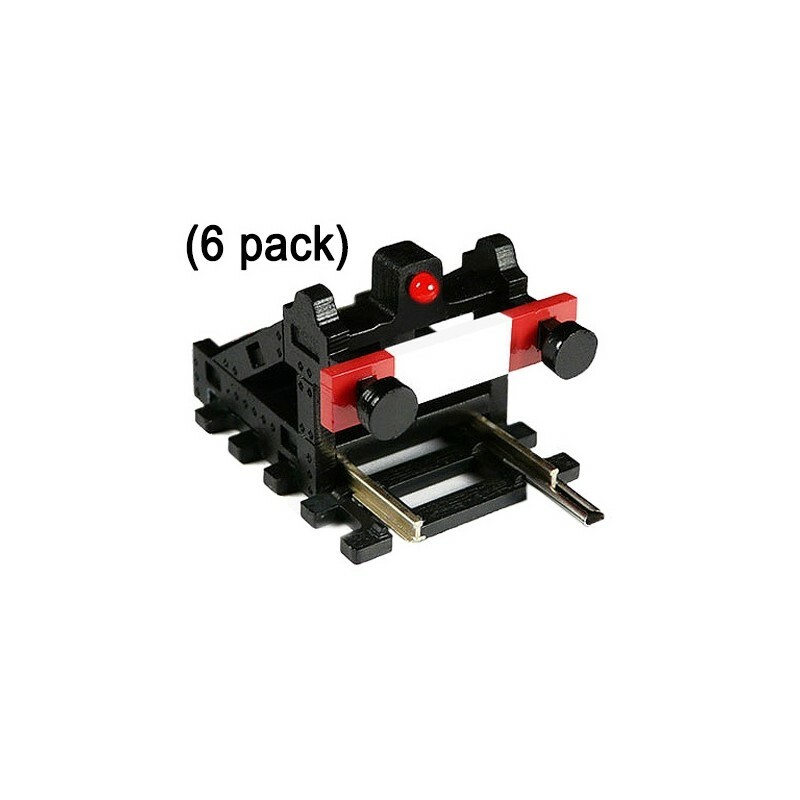 Just plug your buffer stop to the end of your DCC track and you are done. By buying this product you can collect up to 75 loyalty points. Your cart will total 75 loyalty points that can be converted into a voucher of € 3.75.